23 April 2018, The Hague: The investment and business relations between Bangladesh and the Netherlands got a renewed momentum following the high-level Bangladesh Investment and Business Seminar held on 23 April 2018 in The Hague, the Netherlands. 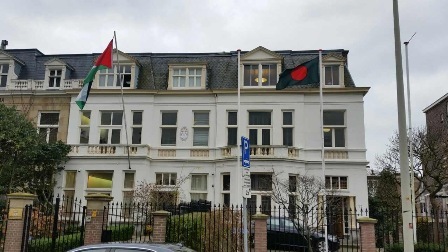 The Dutch Bangla Chamber of Commerce & Industry (DBCCI), in association with Bangladesh Investment Development Authority (BIDA), and with the support of the Embassy of Bangladesh in The Hague, Ministry of Foreign Affairs of the Kingdom of the Netherlands, and the Netherlands Enterprise Agency (RVO) organized the seminar in a local hotel in The Hague. The seminar themed “Bangladesh Emerging Big: A Beacon of Opportunities” and back-to-back Business-to-Business matchmaking sessions showcased investment and business prowess of Bangladesh as well as shared our story of “development surprise” with the government, public sector entities, businesses and investors of the Netherlands. The seminar became a time-befitting event especially in the context of our fulfilling for the first-time graduation criteria for a developing country last month recognized by the UN. Mr. Kazi M. Aminul Islam, Executive Chairman of Bangladesh Investment Development Authority and Mr. Guido Landheer, Deputy Director General Foreign Economic Relations, Ministry of Foreign Affairs of the Netherlands graced the seminar as Chief Guest and Guest of Honour respectively. A 23-member DBCCI delegation along with a 20-member government delegation comprising of senior officials from BIDA, Bangladesh Economic Zones Authority, Bangladesh High-Tech Park Authority, Public Private Partnership Authority, Ministries of Commerce, Water Resources, and Shipping, Chittagong and Payra Port Authorities, knowledge institutions (BUET and CEIGS), and top executives from the leading agriculture and aquaculture companies from Bangladesh joined the seminar to highlight investment regimes as well as business opportunities in key sectors including, among others, ICT and other creative sectors, high-tech agriculture and aquaculture, dredging and other water and delta management-related sectors, port development and operation, food processing, textiles, chemicals, pharmaceuticals, energy specially renewable energy, jute and leather products, etc. sectors. The BIDA Executive Chairman, highlighting the ongoing development spree in the country, invited Dutch businesses and investors to visit Bangladesh to see for themselves the opportunities prevailing now in Bangladesh Elaborating of government’s host of mega development projects, including in road, rail, satellite, sea ports, power and energy, new export processing zones and special economic zones, ICT infrastructure, etc. under “Vision 2021”, the Executive Chairman invited the Dutch investors and businesses to join the development journey of Bangladesh for mutual benefits. 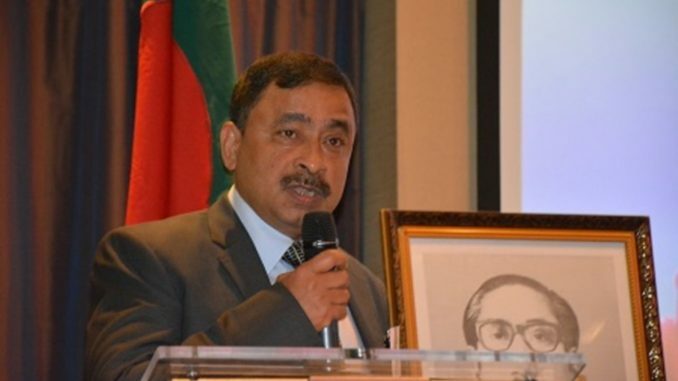 The Bangladesh Ambassador to the Netherlands Sheikh Mohammed Belal assured the Dutch investors and businesses full support in their future ventures in Bangladesh. Ambassador Belal highlighted the engrained comparative advantage that the Dutch already have as they already have a sizable investment in Bangladesh. One of the leading themes of this seminar was to highlight aspects of geo-strategic advantage that Bangladesh is endowed with to become a gateway to the South and South East Asia as the Netherlands is a gateway to Europe. The bilateral relations took a new boost following the visit of Hon’ble Prime Minister Sheikh Hasina to the Netherlands in November 2015 at the invitation of her Dutch counterpart. As a result, host of new initiatives have been unrolled while reinvigorating the existing ones. The trade and investment relations between Bangladesh and the Netherlands have remained a cornerstone in the multifaceted broad-based partnership between the two countries for sustainable development of Bangladesh.